US National Security Advisor John Bolton has signaled that Washington’s latest sanctions on Venezuela are a “warning” to “external actors” against deploying military assets to support the government of Nicolas Maduro. 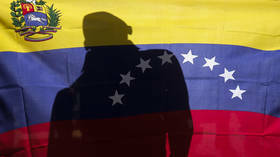 The US imposed new sanctions on the Central Bank of Venezuela on Wednesday, restricting US transactions and cutting off access to US dollars. It also targeted Cuba with sanctions, including travel restrictions. Bolton said Russia's recent deployment of military planes to Venezuela posed a "threat to security" in the region, just two months after the US openly attempted to instigate a military coup in the country. He said Russia's "provocative" action was a threat to "international peace" and security. "Today, we proudly proclaim for all to hear: the Monroe Doctrine is alive and well," Bolton said, referencing the infamous US policy of opposition to European colonialism in the Western hemisphere beginning in 1823, which ultimately allowed the US to treat Latin America as its own background and experimental coup playground. During his speech, Bolton also announced new sanctions on Nicaragua's Bancorp and on Laureano Ortega, the son of Nicaraguan president Daniel Ortega. Bancorp had previously been sanctioned for its links to Venezuela's state-owned oil company PDVSA. The Trump administration called for the overthrow of Maduro's government in mid-January and announced it would recognize opposition leader and self-declared president Juan Guaido as the country's "legitimate" leader.